Frederick Walker, the son of a William Walker, a jeweller, was born in London on 26th May 1840. His father died when he was a child leaving his mother to bring up Frederick and his seven brothers and sisters on his own. After a brief education at the North London Collegiate School in Camden Town, Walker found employment in an architect's office in 1855. Walker had always been keen on drawing and for a short period in 1858 became a part-time student at the Royal Academy. He also worked for three days a week for Josiah Wood Whymper in Lambeth as a designer of woodblock illustrations. In 1859 he enrolled at the Langham Artists' Society, a club where young painters worked together on specified subjects and then compared the resulting drawings. That year his engravings began appearing in magazines including Good Words, Once a Week and Everybody's Journal. In 1860 William Makepeace Thackeray began using Walker's illustrations for his new journal, the Cornhill Magazine. This included the illustrations for Thackeray's novel, the Adventures of Philip that was published in 1862. His biographer, Christopher Newall, has pointed out: "Walker had been asked in the first instance to adapt Thackeray's own sketches, but after the first two and following his plea that he should be allowed to contribute designs of his own invention he was given virtually a free hand." One of the illustrations, was later worked up as the watercolour drawing known as Philip in Church (1862). Walker also worked for the engraving company run by George Dalziel. This included providing the illustrations for books by Charles Dickens. The engraver Joseph Swain, who cut many of the woodblocks that Walker designed, wrote of Walker's method: "In working out the minutest detail Walker was painfully conscientious. This was even shown in the backgrounds of his illustrations, most of which were drawn on the blocks from nature". His friend, John William North, argued: "Walker painted direct from nature, not from sketches. His ideal appeared to be to have suggestiveness in his work; not by leaving out, but by painting in, detail, and then partly erasing it. [His work] frequently passed through a stage of extreme elaboration of drawing, to be afterwards carefully worn away, so that a suggestiveness and softness resulted—not emptiness, but veiled detail. His knowledge of nature was sufficient to disgust him with the ordinary conventions which do duty for grass, leaves, and boughs; and there is scarcely an inch of his work that has not been at one time a careful, loving study of fact." In 1863 Frederick Walker exhibited his first paintings at the Royal Academy. Most of these paintings were reworking of engravings that Walker had produced for magazines. This included Refreshments (1864). One of these engravings that first appeared in Once a Week in 1866 became the painting The Vagrants. Walker was inspired by seeing gypsies on Clapham Common. He tried to use the gypsies as models but found that they had moved on. Instead his sister Polly posed for the standing woman. The background landscape is of Beddington, near Croydon. When the painting appeared at the Royal Academy it failed to find a buyer. One reviewer argued: "There is a pathos, a melancholy about these poor outcasts which awakens compassion. Hearts of a brave humanity have these wanderers, though rude in person and ragged of attire. Specially noble is the bearing of the woman with arms folded and of countenance moodily meditative." This was followed by The Bathers (1867), The Chaplain's Daughter (1868), The Old Gate (1869), The Woman in White (1871), The Housewife (1871) and The Harbour of Refuge (1872). The art critic, John Ruskin, commented that Walker had developed his own style of painting: "semi-miniature, quarter fresco, quarter wash manner of his own - exquisitely clever, and reaching, under such clever management, delightfullest results here and there, but which betrays his genius into perpetual experiment instead of achievement". However, his paintings had a tremendous influence on young artists such as Luke Fildes, Frank Holl and Hubert von Herkomer. By 1872 Walker, whose paintings showed a deep concern for the under-privileged, was acknowledged as the leader of what became known as the social realist school of painting. Walter Armstrong has argued: "Apart from his art, Walker's life was uneventful. He was never married, and lived with his brother John - who died, however, in 1868 - his sister Fanny, and his mother.... As to his art, few painters have been so sincere and personal as Walker. From first to last his one aim was to realise his own ideas and express his own emotions. Here and there an outside influence can be traced in his work, but the modifications it causes are accidental rather than essential.... Less perhaps than the works of any other artist of equal importance do his pictures suggest theories and reasoned-out æsthetic preferences on the part of their creator. As a leader, his value lies in the emphasis with which he reasserts that sincerity is the antecedent condition for great art. He affords perhaps the most conspicuous modern instance of an artist reaching beauty and unity through an almost blind obedience to his own instincts and emotions. His art was so new and attractive that it was sure to attract a following; but its value was so personal that the school he founded could scarcely be more than a weakened reflection of the master." His biographer, Christopher Newall, has pointed out: "Although Walker was based in London, most of his work was done in different parts of the countryside - his most favoured haunts being the Thames valley around the village of Cookham, where his mother had a cottage; the Quantock Hills in north Somerset, where he stayed with J. W. North at Halsway Manor, and later at Woolstone Moor; and the Scottish highlands, to which he went on fishing expeditions to Corrichoillie with Richard Ansdell and often stayed with his friend and patron William Graham MP, at Stobhall on the River Tay." In 1873 Walker developed the first symptoms of consumption. That winter his friend, John William North, took him to Algiers, but he became desperately homesick and returned to England. In May 1875 he travelled to Scotland. Walker was taken ill at St Fillans on Loch Earn and died on 4th June, at the Drummond Arms Hotel. Four days later his body was buried in Cookham Churchyard. 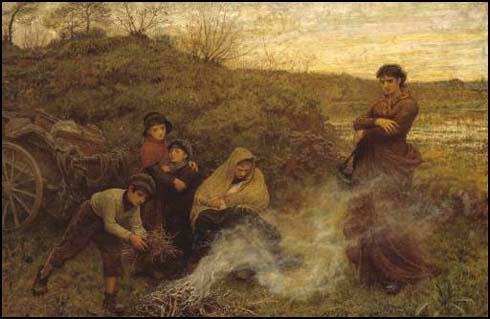 (1) In 1893 Hubert von Herkomer explained the influence of Frederick Walker's paintings on his own work. In Frederick Walker we have the creator of the English Renaissance, for it was he who saw the possibility of combining the grace of the antique with the realism of our everyday life in England. 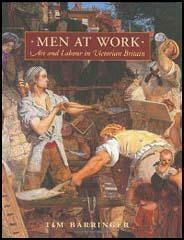 His navvies are Greek gods, and yet not a bit less true to nature. 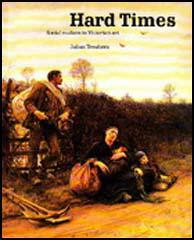 (2) The Art Journal reviewed Frederick Walker's painting, The Vagrants in 1868. There is a pathos, a melancholy about these poor outcasts which awakens compassion. Hearts of a brave humanity have these wanderers, though rude in person and ragged of attire. Specially noble is the bearing of the woman with arms folded and of countenance moodily meditative.